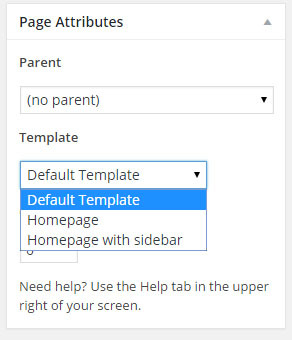 Create a new page and select “Homepage with sidebar” as template. Publish this page or save as draft. After saving this page new field is available on right side. 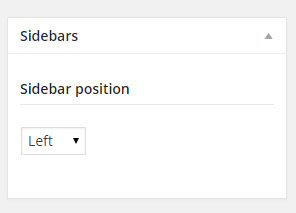 Select left or right sidebar position. Dont forget add some widgets inside “Homepage Sidebar” – Go to WP Dashboard -> Appearance -> Widgets -> Homepage Sidebar.